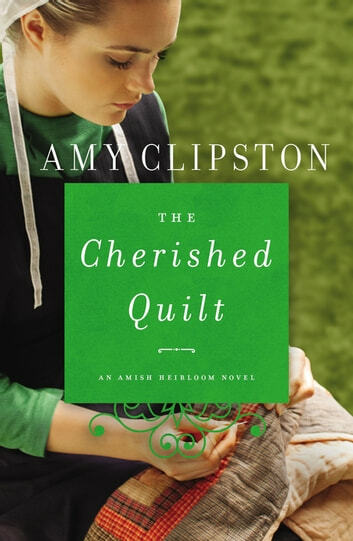 “Clipston is as reliable as her character, giving Emily a difficult and intense romance worthy of Emily’s ability to shine the light of Christ into the hearts of those she loves.” —RT Book Reviews, 4½ stars, TOP PICK! Emily Fisher is eager to meet the new employee at her father’s shop in Bird-in-Hand, Pennsylvania. But when Christopher Hostettler arrives, his cold demeanor freezes her attempts at building a friendship. Longing for a fresh start, Christopher travels from Ohio to Bird-in-Hand. Christopher’s heart is still wounded from memories of home, and making new friends is the last thing on his mind—he knows the pain that comes with losing those you love. When Emily is kind to him, he tries to remain distant, but he soon finds himself stealing glances at her throughout the day. 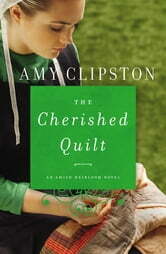 When Christopher shares his tragic reasons for leaving home, Emily decides to make a quilt for him as a gesture of their friendship. The two are quickly falling in love when a family emergency calls Christopher back to Ohio without warning. This novel had such heart throughout and I throughly enjoyed it. The characters were real, full of doubts, grief, family issues, love and friendship. A family tragedy brings Chris to his uncles house in Bird in Hand. His dad has hurt him terribly and he feels he is not wanted at his house. He learns a new trade at the hands of his uncle and his uncles partner and next door neighbor. The neighbor has a beautiful daughter, Emily, who realizes Chris is unhappy and has lots of things bothering him. She sets her goal to befriend him and try to break through his hard exterior. I loved the character Emily. She was so giving, always thinking of others over herself. She goes out of her way to help and serve not only her family but Chris. She even plans early in their friendship to make him a quilt. As their relationship grows, things are hidden that could cause heartbreak. Does Chris ever resolve his issues with his dad, or do his nightmares continue to eat him up? As Emily helps her middle sister plan her wedding, she begins to believe a special someone will never be sent into her life by God. You may need a box or two of tissues to get through this book, but it will be well worth it. FYI: Don't read the epilogue if you have no intentions of reading the fourth and final book in this series, but why wouldn't you I ask? If it's even half as good as this one it will be worth every minute of your time. I received a copy of this book from the publisher through The Fiction Guild and was not require to write a review, positive or otherwise.